The program was attended by Kurseong SDPO, Sukna OC, Youth Welfare Secretary and President. A bike rally was oragnized to mark the even from Sukna police station to Sukna Cpt RAM SHING THAKURI chowk. After the rally ended SDPO Kurseong addressed the people and informed them of the significance of safe driving and use of helmets and seat belts while driving. 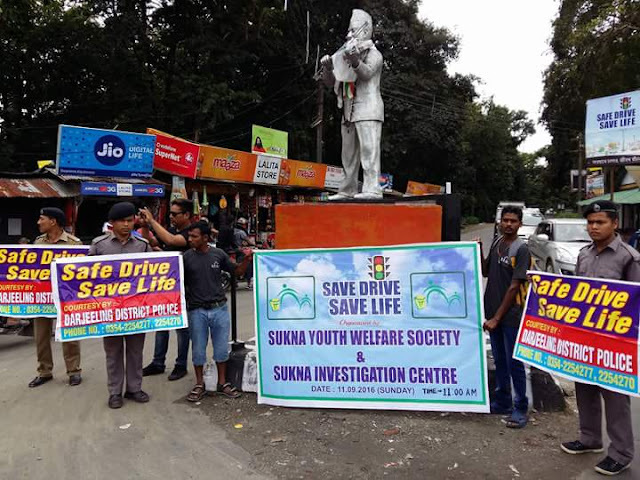 The secretary of youth welfare society requested the common people stop to mixing drink and drive.